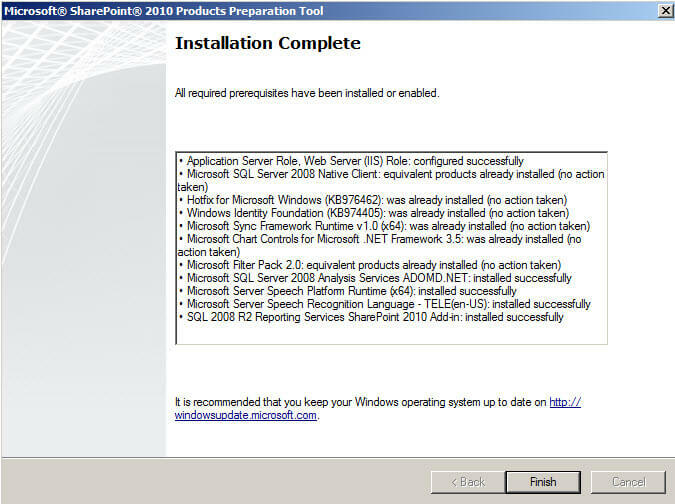 Installing the Prerequisites for SharePoint 2010: The Easy Way! 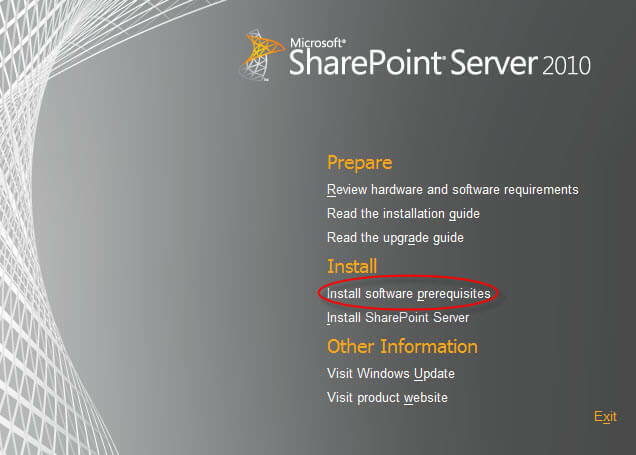 I have read that installing SharePoint 2010 Server requires a number of prerequisites. Before I spend a great deal of time looking for them all, is there a place where I can download them all at once? I am running my installation in a virtual environment. After mounting the ISO image of the installation media, I ran the "Setup.exe"
On the first run through, I got a long list of prerequisites that I needed to install. I spent literally hours looking for all the updates, hotfixes, media, etc. When I was done I still had an error on the prerequisites page. 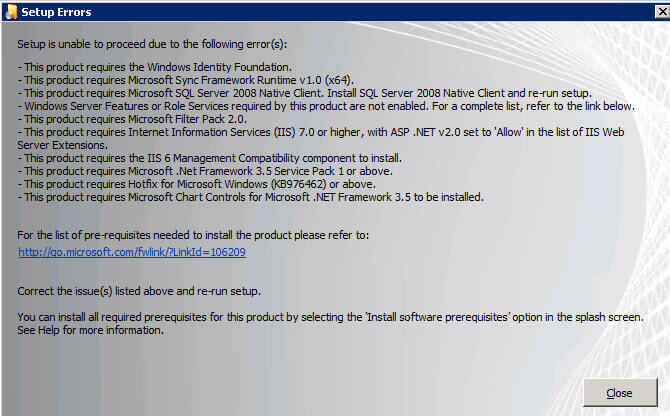 Then I read the error screen very carefully, noting the bottom line. You can install all required prerequisites for this product by selecting the 'install software prerequisites' option in the splash screen. Splash screen? Hey wait a minute! What's that? Then I decided to look for it. Of course! Like all recent installation media, there's an installation splash screen. 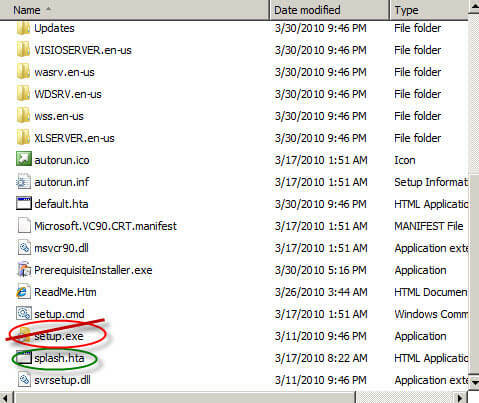 Instead of running "Setup.exe", I clicked "splash.hta". Sure enough, there was the option, plain as day. So I ran that.